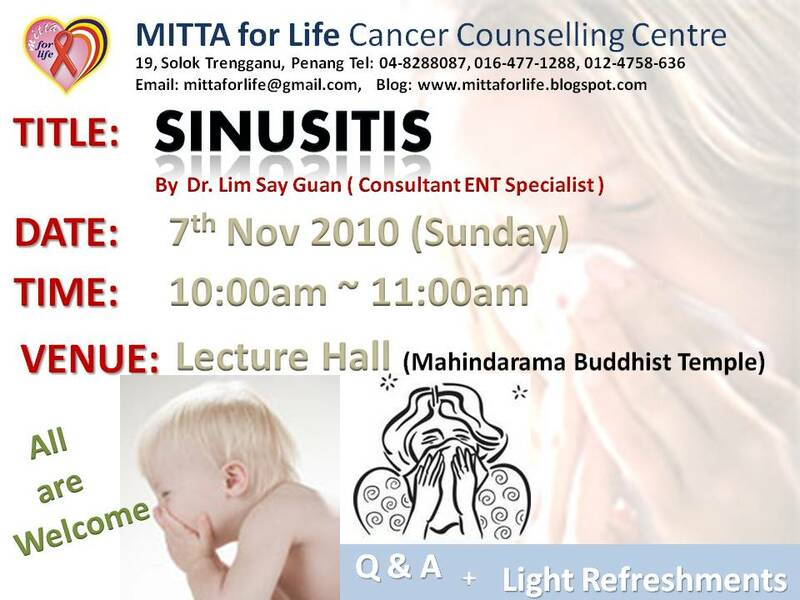 9th November 2010 Tuesday morning, as usual a group of Mitta volunteers go to Pure Lotus Hospice for community service. 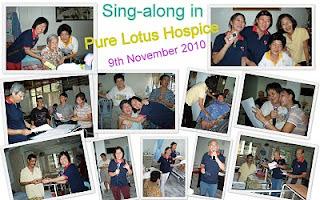 Today is a Sing a-long session in Pure Lotus Hospice joined by Mano, Beng, Helen, Mrs. Neoh, Yoke Kam, Johny Chee, Angela, Bernice, Tan CK,Lau Beng Chye, Liliann. 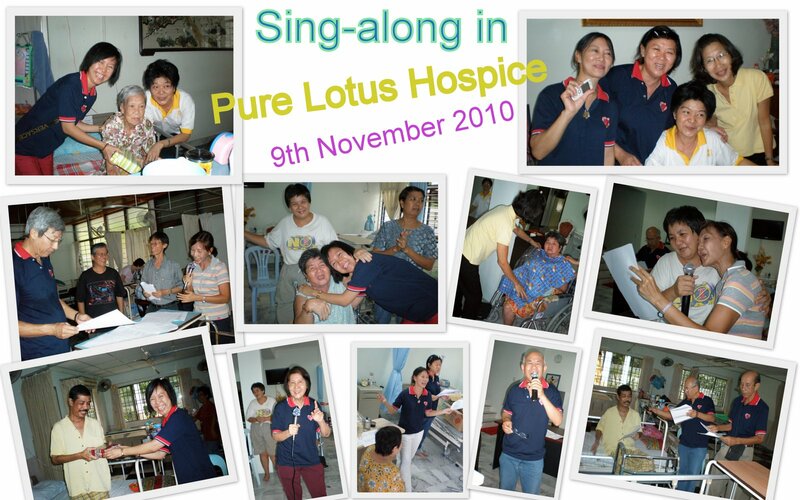 A number of songs by Johny Chee with his Nyonya Baba lyrics, guitar strumming by Mano, with Helen dancing and voices of volunteers brought much cheers and joy to the inmates in Pure Lotus. Some inmates and nurses joined in the singing - Jambalaya, Country Road, Tian Mi Mi, Yeah Lian Tai Piow Wor Ter Sin, Clementine, Rasa Sayang etc..
Angela distributed gifts to the patients. Liliann bought nyona kueh, cooked soup, and make herbal jelly for the patients. Mrs. Neoh distributed some candies to them. 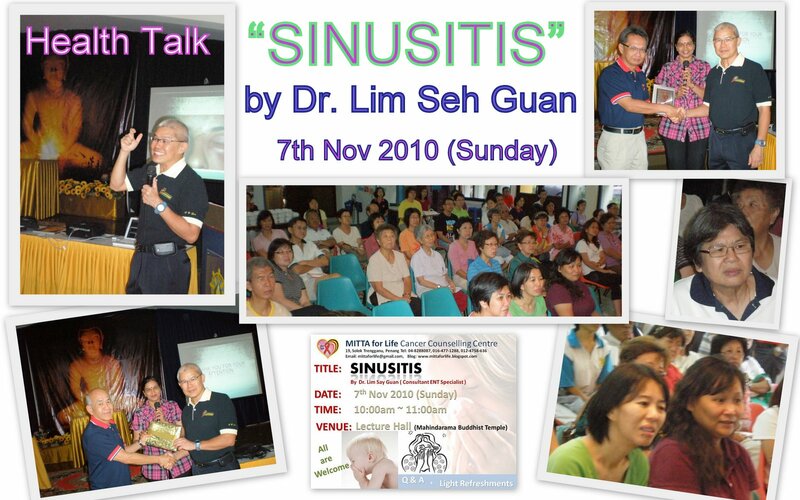 They were so touched by our compassionate, sincere actions that one of the inmates cried with joy. She said today is her happiest day! 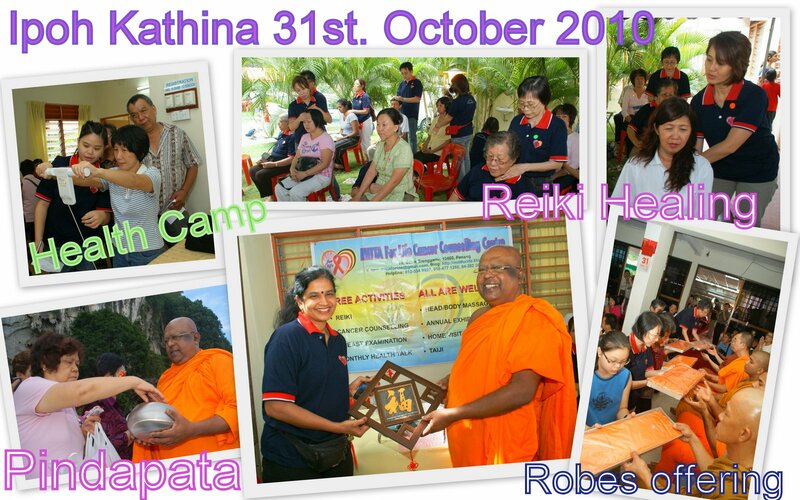 Last week, one of the patient asked for a blouse (sleeveless, collar-less blouse) Big sadhu to Mitta patchwork volunteers, within a week, they sewed a new blouse for the patient. It was presented to her. Upon receiving the blouse, she was touched by the gift and tears filled her eyes. Thanks to all volunteers, who have directly or indirectly brought happiness and love to the inmates of Pure Lotus Hospice. Big Sadhu to all of you.